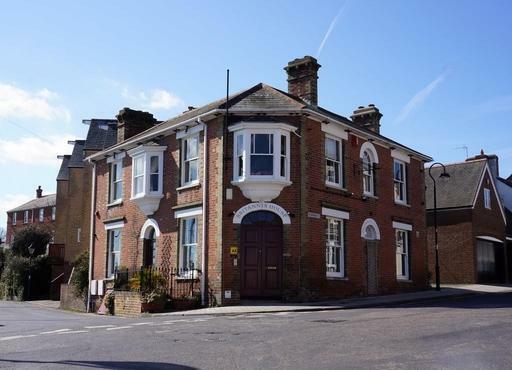 Without a doubt one of the most charming B&Bs in the area, Britannia House enjoys an ideal location near Lymington’s rail station and is just a short stroll from the quay, harbour and high street. Built in 1865 as the Britannia Commerical Hotel, the building retains much of its period charm, beautifully complementing the marvellously quirky decor. Your host Tobi Feilke welcomes you like a long lost friend and creates an atmosphere that is cosy, homely and fun. Each of the five bedrooms has its own style and feel to it and each is immaculate with comfortable king beds, digital flat screen TV with freeview channels, free Wi-Fi, super large bath sheets, toiletries, anti-allergic duvets and more. There’s also a very stylish two storey apartment located just opposite the main building which comes with its own living room, bed room and balcony giving stunning views out toward the Isle of Wight. The exceptional breakfast is served in an old farmhouse-style kitchen with lovely period details. Tobi cooks breakfast before your eyes and creates a wonderful ambiance and a chance to chat with the other guests. Guests also have use of the large, comfy lounge to relax in during the day. Lymington is a lovely place to wander about and Tobi can provide you with a list of recommended pubs and restaurants, many of which are just a short stroll away. He is also very informative about the local attractions and can point you in the right direction if you are new to the area. The New Forest is just a five minute drive away and day trips include Milford-on-Sea beach, Beaulieu Motor Museum, Exbury Gardens and a ferry over to the Isle of Wight.